Get your REDCard out and enjoy a fun little freebie in Target stores for two weeks starting December 10th. 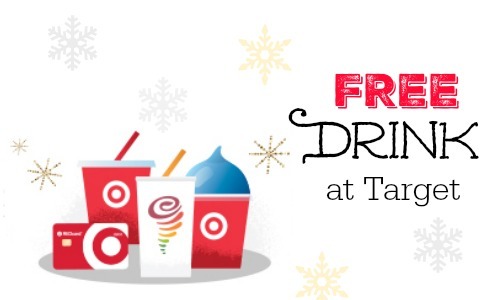 Get a free 16 oz JamboGO Smoothie, small ICEE or Soda at the Target Cafe. Click “Manage My Card” to see details. Just show your REDcard during the promotion from December 10th to December 24th in the Target Cafe to get the free drink. Limit one per day. While I wouldn’t get the REDcard just for a free ICEE it is a nice savings when you regularly shop in Target. You’ll get 5% off every purchase (even price matching other stores). We have the debit card version so it’s not another credit card to keep up with, but still gives us the discount in stores. You can sign up online and have a temporary card the same day (just in time for Black Friday).